Whoohoo!! I made the team at One Stop Craft challenge I'm so excited and looking forward to working alongside a fabby DT so thank you Shelley and the girls!! 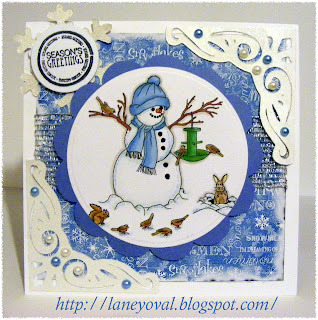 I have used DP from Bearlymine Designs designer extreme, my digi stamp'Snowman and Friends' is from the Digi Doodle Shop coloured with promarkers and added a little glitter not sure you can see it on the pic, also added some cut out corners, pearls and some silver net ribbon . http://raisethebarchallenge.blogspot.com/..It's Beginning To Look a lot Like Christmas! congratulations on your new dt spot and a fab card to start! Congrats on being picked for the One Stop Craft Shop Design Team, so great to have you on board! I love the bright blues and white of this card! Love this Laney, love how you've coloured the image too, and your corners are fab, thanks for joining us at I ♥ ProMarkers. Fab card! Wow just love those corners. Well done on your DT spot - I thoroughly enjoyed my stint at One Stop, such a fablous DT! This is brilliant news Laney congratulations and what a fantastic debut card, loving the image also the papers and design this is truly wonderful. Congrats on your DT position! Your card is adorable! I love the colored image and the design! Great job! Thanks for joining the fun at Hooked on Craft Challenges! 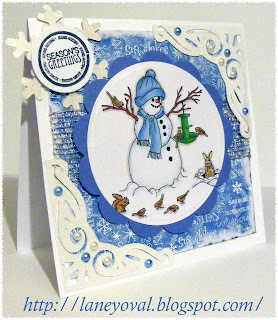 Fab snowy card. thank you for joining in the Totally Papercrafts challenge this week. 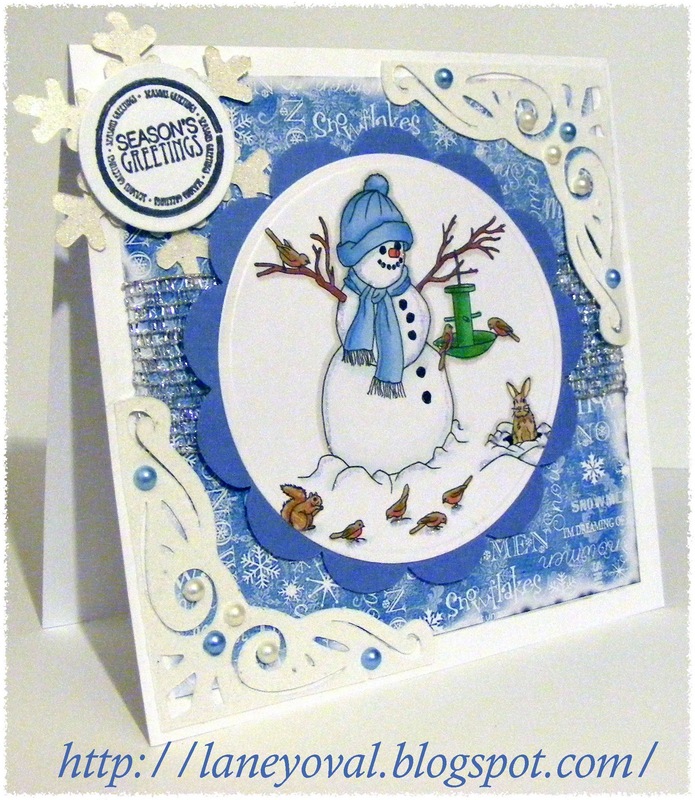 Lovely snowy winter card. Thanks for sharing it with us at By The Cute And Girly this month.